How does one nurture the spirit of an institution? How does one care for the employees and physical spaces that make the dream real, but also the dream itself? How does one nourish the abundant creative energy needed so that the separation between actors and stage is seamless, and that each person spiritually inhabits the very mission and vision of the institution? As local leaders in education we must be able to articulate and stand by the people, pedagogy, practices and policies of the schools we create. We need to be able to speak to each like they are parts of our family, parts of our bodies - each piece necessarily influencing and informing the whole. These are the interwoven fundamentals that, when realized authentically and kept healthy, speak to the very essence of our schools’ existence. Too often do we stumble in the shadow of great intention, put our heads down, and simply move through our days. To work in such spaces without dynamic interplay between these fundamentals is to inhabit a spiritually empty husk: a mission without truth, a vision without possibility. It doesn’t have to be that way. We can deliver on our promise to foster unique environments that speak to the needs of all those involved: children, their families; school staff, faculty, board members; and members of the wider school community. Our employees are tireless, creative, dynamic, radical, unabashed, open, curious, eager – seekers every one. Through an ever-expanding understanding of human development, social relations and scientific inquiry we create our core ethos. We believe in the power of positive relationships and vibrant learning opportunities to transform children’s lives. Maria Montessori’s view of children, and her holistic approach to learning, provides an exceptional framework for reforming and reinvigorating our schools. In approaching education as a process to be explored, as an ever-unfolding journey of experimentation – rather than the static binary relationship of prescription and recitation – Montessori shows us the way forward. We start with the child. A curriculum does not drive our work with children; rather, it serves as a map for the journey. The children, then, help to create what is studied; they are partners in the creation of the universe that unfolds before them. What they desire, what they need, how they present from moment to moment constantly reshapes the forward progression of learning, and the attainment of new knowledge. The policies that we create and then enact reflect the philosophical underpinnings of who we are and what we do. They are manifestations of these broader fundamentals; they codify the spiritual ground of our community, our pedagogy, and our practice. 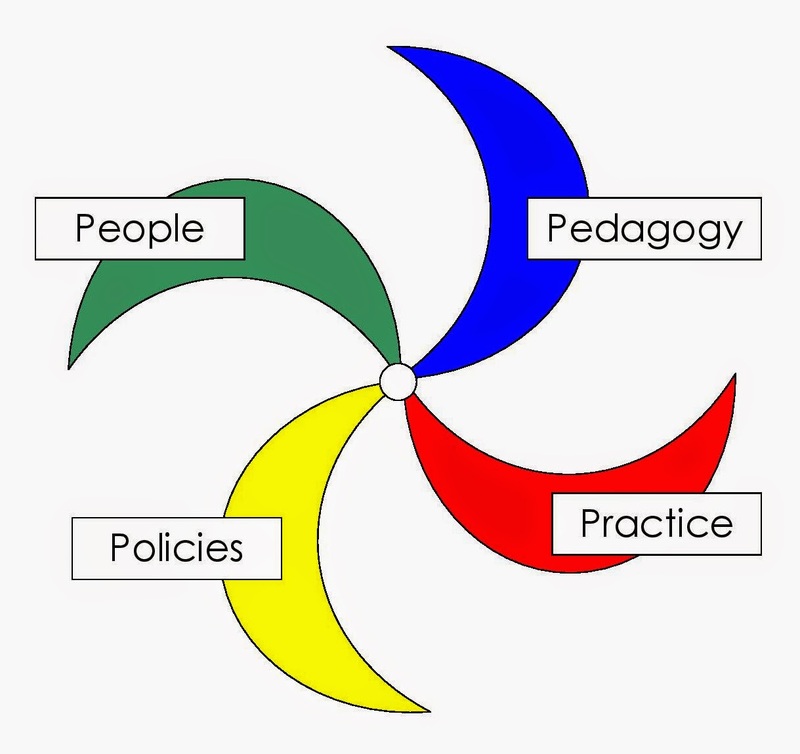 Once articulated, our conception of the people, pedagogy, practices and polices of our schools informs every aspect of our work – from the classroom to the boardroom. If any of these four fundamentals becomes fragmented or diluted we must stop, reassess and reconsider the way ahead. We cannot continue to move forward until we can do so with authenticity and truth. Belief is a powerful thing, but only as powerful as the quality of its manifestation. How we imagine our schools can be, is how we imagine our families can be; our communities, our neighborhoods; our towns, cities, states and nation. Our schools are the crucibles in which a more fully awakened collective consciousness can be catalyzed.